Designed by Jean-Marie Massaud. 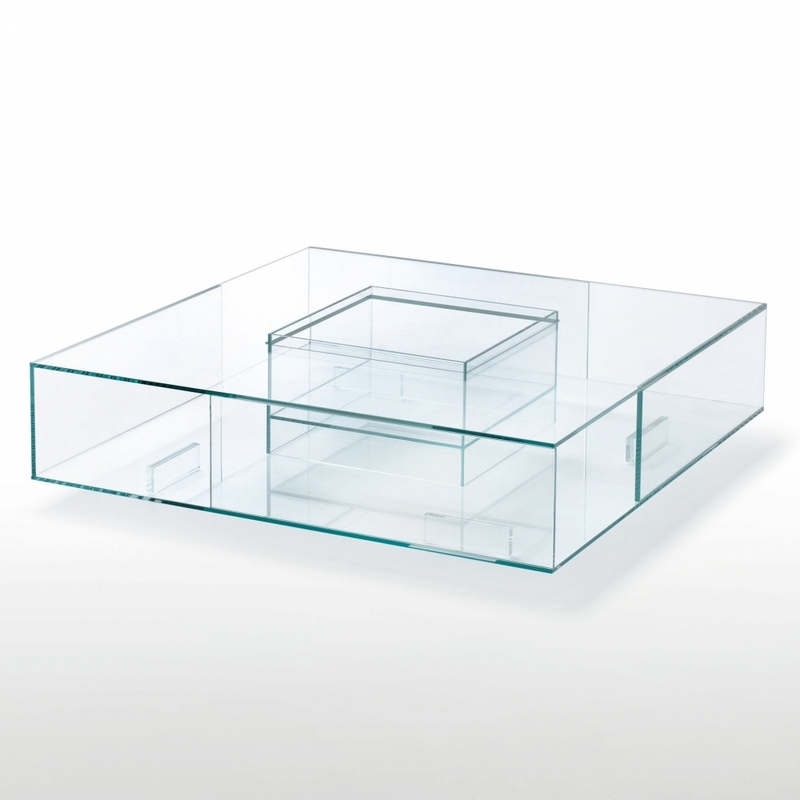 Low table realized completely in tempered and glued transparent extra light glass. A retaining basin is placed in the centre. The double top allows various objects to be placed inside the low table, whilst the basin which is watertight through a special gluing, can be used as vase, flower box or aquarium. A version with a burner in steel inox fuelled by bioethanol is also available.